Stocking a huge range of golf equipment for golfers of all levels, American Golf has all of your golfing needs covered. Our golf equipment provides fantastic value for money, choose from a wide range of major brands online and in store including Nike Golf, TaylorMade and Callaway. Don’t forget we offer a Price Match Guarantee too! We have free custom fitting available on a range of golf clubs, provided by our fully trained expert advisors using the game changing Foresight GC2 performance simulation system. No matter your golfing ability we are here to help you every step of the way. Pop in-store for a club MOT every year, so we can give your clubs a check over and you can take advantage of our launch monitor to improve your game. 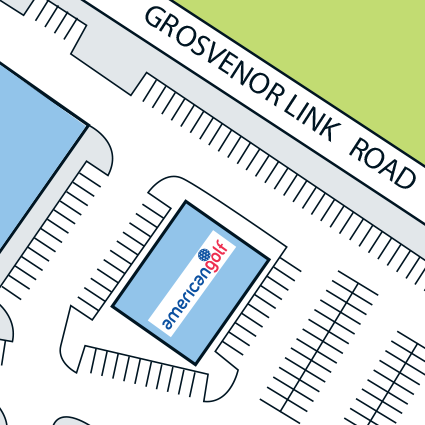 American Golf, are committed to offering you the best value available in the UK. We strive to provide you with an unmatched range of golf clubs, equipment and apparel and a market leading in-store and online customer experience, at prices you can trust. We are so confident that we promise to match any advertised price from any authorised UK retailer.